The lowest cost way to house your hens may be to convert an existing shed or build one from scratch, especially if you have scrap wood available. However, if you’re pressed for time or lack carpentry skills then you need to buy a coop. 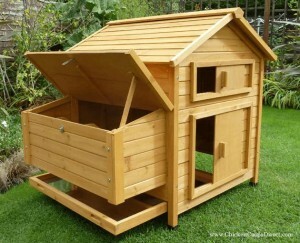 There’s a huge range of arks, coops and houses available with a wide range of prices. Having looked around we were surprised how some of the more expensive models were actually not that well constructed or even well designed. 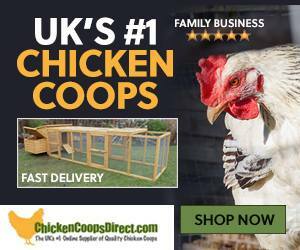 This range of chicken coops from Chicken Coops Direct however ticked all the boxes. They’re well designed to start with. After all, good design doesn’t add to cost, if anything it should reduce cost. They can be supplied with a run or even a double run to give the birds more space. You will need to maintain the coops, a coat of bird-friendly wood preservative each year will extend the life of the coop. 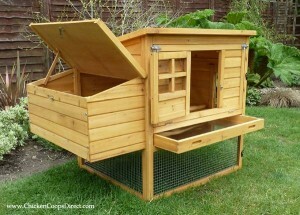 This Kent budget chicken coop is perfect for the beginner. 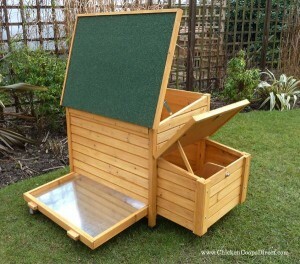 There are multiple openings to allow easy access to the hens and the cosy house features a pull out tray for easy cleaning and a generous nest box. It’s available with a fitted run or even a double run. If you’ve got a secure garden or run, the Devon Hen House is ideal. 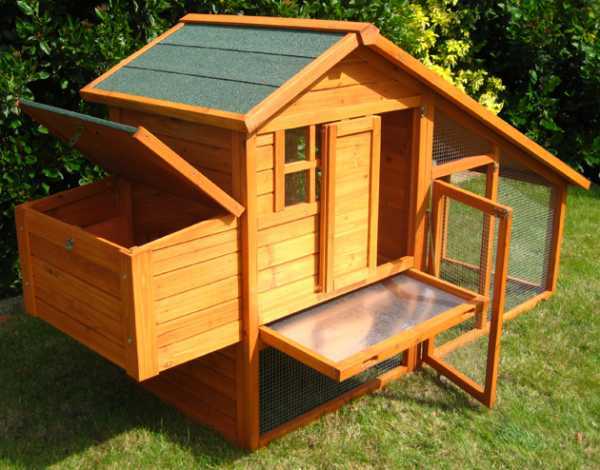 Once again well designed with pull out metal floor tray for ease of cleaning, generous compartment nest boxes and a closable ventilation grill above head height. This avoids drafts yet keeps the air fresh inside the house, which is very important for healthy hens. The front and back panels of the Devon are easily inter-changeable. so you can choose whether you want the sliding door entrance or the vertically opening door entrance to face the front. Sussex Low Cost Chicken House & Run. 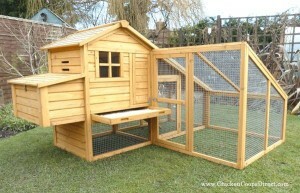 Last but not least for housing 3 or 4 hens, is this attractive and unusual Sussex Chicken House & Run. It provides predator secure and dry housing whilst making the most of the 17 square feet it covers. The unusual design with the long sloping roof provides the perfect cover even in driving rain, and this is one of the reasons why so many people have chosen the Sussex chicken coop. 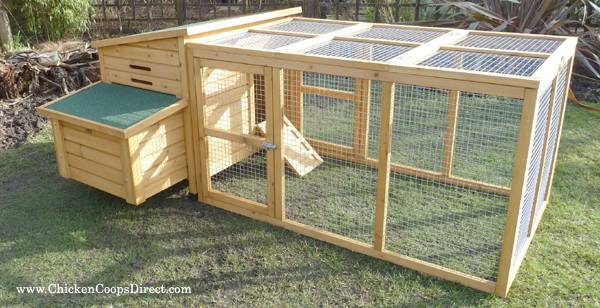 The house incorporates a run but an extension run is available to provide enough space to leave your hens in all day. Many of us like to let our hens roam the garden but only when we’re about to keep an eye on them. This Dorset Hen House & Run could be the answer. There’s enough room in the fully covered run to keep them happy for a bit and let us sleep in on Sunday for that extra hour. The Dorset is a neat, easy to clean chicken coop and with almost 9 sq feet of internal housing space is large enough to comfortably hold up to 6 hens.